Rave The Financial Times Kerr’s evocation of Berlin’s interwar decadence is as sure-footed as ever. The rise of the anti-Semitism that will lead to the death of millions is never sententiously handled but refracted through Gunther’s dogged efforts to make sense of a surreal reality. And despite the increasingly threatening atmosphere, the detective’s unsparing wit is one of the key pleasures of the book ... Metropolis is every bit as vivid and pungent as anything Kerr ever wrote, but we read knowing that it will be our last moment in the company of Bernie Gunther — unless we start reading the books again from March Violets onwards. And that’s not a bad idea. Positive The Guardian The response to the three Raj-set novels of Abir Mukherjee has been one of unalloyed praise, not least for the fact that these exuberant narratives are so nuanced in their treatment of that era ... As in previous books, it is the flamboyant evocation of 1920s Calcutta that makes this such a mesmerising read. Rave Financial Times Don’t be daunted by the imposing length of this epic crime novel—Don Winslow justifies every one of its arm-straining 700-odd pages. Winslow is a writer’s writer, but his work is also a gift to all discerning crime readers ... Winslow has excelled again with the final novel in the trilogy, The Border, every inch as pungent and involving as its predecessors ... With a dramatis personae that makes Tolstoy look underpopulated, this is Winslow at his sensational best. Positive The Guardian Kent’s writing has always possessed literary elegance, and that is fully in evidence here. Her earlier work maintained a balance between tense frissons and the allure of sultry foreign climes, but her subject now is the limit to which human beings can be led by the behaviour of others. Few readers will miss the baking sun of Italy, given the suspense Kent engenders these days in her own rainy stamping ground. Positive The Guardian While not perhaps [Hoag\'s] best work, reminds us that in capable hands the field still has myriad possibilities ... Hoag’s subject, as ever, is emotional trauma – though the tone is marginally less dark than in her earlier work. 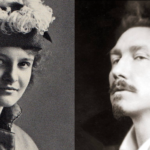 Husband-and-wife detective teams stretch back as far as Dashiell Hammett, but Hoag ensures that her pair have a very individual quality, encapsulated in their razor-sharp dialogue. Positive The Guardian This latest entry shows how wise Rankin was to bring his curmudgeonly copper back from retirement after the mixed response to his books featuring Malcolm Fox of the Police Standards Bureau, excellent though they were ... How has Rankin kept the series fresh for 22 novels? Deft characterisation. Readers must keep up with a lengthy dramatis personae, but there’s nothing wrong with making us work a little. Mixed The Guardian With its steady pace and large cast of characters, this is a thriller only in the loosest sense and demands patience. As in the earlier Six Four, Yokoyama carefully structures his novel to provide an astringent, unforgiving picture of modern Japanese society. Positive Financial Times The wait was worthwhile ... a very efficient piece of work ... Jónasson has the full measure of the Nordic noir genre, and pushes all the buttons. Positive The Financial Times While the new book (once again purportedly by Brunet) is more straightforward in its use of detective story tropes, there is evidence that Burnet is impatient with the parameters of the form, embracing a fragmentary structure. And far more than most crime books, this is very much a novel of character ... The Accident on the A35 may not be as strikingly unusual as His Bloody Project, but with its nostalgic echoes of crime fiction of the past and elegant, economical prose, it affords a variety of quiet and satisfying pleasures. Positive The Financial Times In a disturbingly chatty first-person narrative, we follow the progression of Benedictus’s unnamed protagonist from mild sociopathy to deadly menace ... What is perhaps most unsettling is the narrator’s voice: philosophical and apparently possessing self-knowledge (he is well versed in Montaigne), yet deeply deranged. Its tone is horribly chummy ... At the same time, there is a chilling lack of affect, even during gruesome episodes. Motive remains obscure ... There are other current novels about the subject of stalking (such as Dirk Kurbjuweit’s Fear), but Benedictus ensures that the familiar elements are outweighed by his innovative approach. Rave Financial Times Lagercrantz has toned down the sexual violence, but not at the expense of delivering a cleverly written recreation of the world of the earlier books. The new instalment often reads uncannily like Larsson’s own work, even to the extent of some unwieldy detail concerning minor characters who swiftly vanish from the narrative. This is a book that will — largely speaking — please Larsson admirers ... Lagercrantz’s real achievement here is the subtle development of Lisbeth’s character ... Lisbeth Salander remains, in Lagercrantz’s hands, the most enigmatic and fascinating anti-heroine in fiction. Positive Financial Times Mark Billingham is considered to be one of the most reliable practitioners of the modern British crime novel ... Tom Thorne [is as] satisfyingly un-PC as ever ... a rich cast of characters and tense situations are marshalled with panache, leading to a final terrifying encounter. 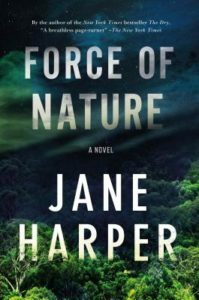 Positive The Financial Times As with Harper’s first book, this one has a powerful sense of place, with a landscape wracked by appalling weather and natural hazards proving a testing ground for her characters. In the sub-genre of inexplicable disappearances in Australia (e.g. Picnic at Hanging Rock), this is a distinguished entry. 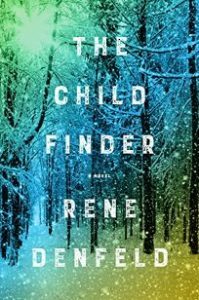 Positive The Financial Times The ingredients of many an excellent crime novel have been conjured solely from a writer’s vivid imagination, but Rene Denfeld — while clearly not lacking keen imaginative facilities — has drawn on elements of her own life for her highly persuasive new tale, The Child Finder. The theme in this, the author’s second novel, is child abuse … [Denfeld] treats it in an innovative fashion and — perhaps more importantly — in a responsible way … Her real grip is in the characterisation of her troubled heroine, with whose concerns the reader becomes inextricably involved. Admittedly, a certain attention is required to keep up with the variety of voices that Denfeld employs here, but it is worth the effort. Positive The Guardian The Thirst may rebalance that popular and critical success. It’s a big-boned, Technicolor epic in the current Nesbø style, starting adagio and ending accelerando, but with the kind of close psychological character readings that distinguished his early work. Rave The Financial Times Although he clearly draws on a Scottish literary tradition, there are other Celtic influences at work too: Joyce’s fragmentary assembly of narrative and that blackly comic strain characteristic of so many Irish writers. But this is not just a tricksy literary experiment — Burnet is a writer of great skill and authority. 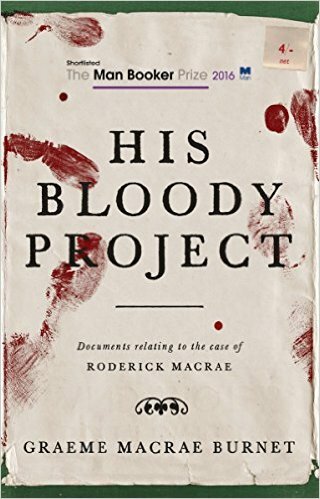 The central notion — a thuggish bully receiving bloody justice — is satisfyingly freighted with acute historical detail ... Whatever the genre, few readers will be able to put down His Bloody Project as it speeds towards a surprising (and ultimately puzzling) conclusion. Positive The Financial Times Child abuse is one of the disturbing themes here, and, like so much Nordic noir, it should be noted that this is not a book for the squeamish or for those who favour the cosier end of crime. The narrative slowly and surely exerts an inexorable grip; its multiple timeframes do not interrupt the unerring building of tension. And, as with the best of Scandinavian crime fiction, there is still room for an acute element of social commentary ... 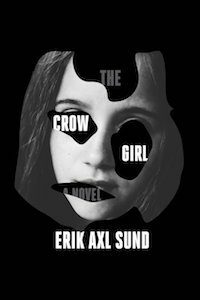 If you’re not fazed by the daunting length and unsparing gruesomeness of The Crow Girl, you will find it to be among the most wide-ranging and forceful Scandinavian crime novels you have encountered.